8,191 others viewed this post. 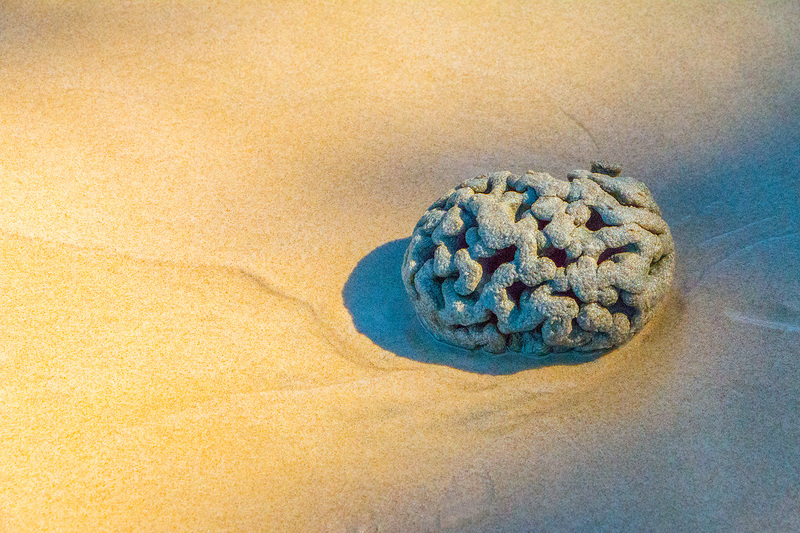 Polyp colonies often form coral that resemble the striations and folds of a brain, but I was surprised to find an example washed ashore that was roughly shaped and sized much like a human brain! If it had hemispheres I’d have been on the lookout for a nearby shark neurosurgeon.